The two-day TechFire programme on BYOD kicked off in Dublin on November 7th with a strong attendance hearing the speakers discuss technical as well as HR and privacy issues. TechFire is a series of focused briefings for IT professionals which examine a ‘burning question’ in IT. Moderated by ComputerScope editor Paul Hearns, TechFire sessions place their emphasise on user feedback, customer experiences and independent perspective. Attendance is free but booking is essential. 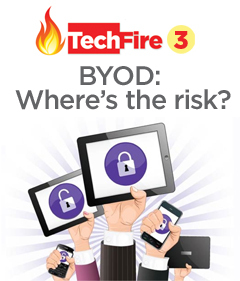 TechFire 3, the third in the series on 7/8 November in Dublin and Cork, looked at the risks to IT management inherent in Bringing Your Own Device -- the trend which sees enterprise networks increasingly populated by user-chosen devices such as tablets, smartphones and other devices. Risk factors around BYOD include data protection and access, employee privacy, device control, cost and application management. However, as a starting point, a network security approach that provides policy-based across all data and devices can form a solid base from which to develop a BYOD strategy. 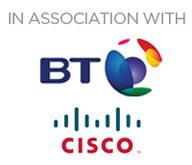 TechFire 3, in association with BT and Cisco, delivered expert advice, insight and customer experiences that will build into a solid foundation for planning BYOD in your organisation. With specific emphasis on managing the risks around BYOD, delegates to these two sessions in Dublin and Cork heard customer feedback from corporates who have implemented BYOD policies; as well as speakers from BT and Cisco advising on safe, appropriate and effective implementation.